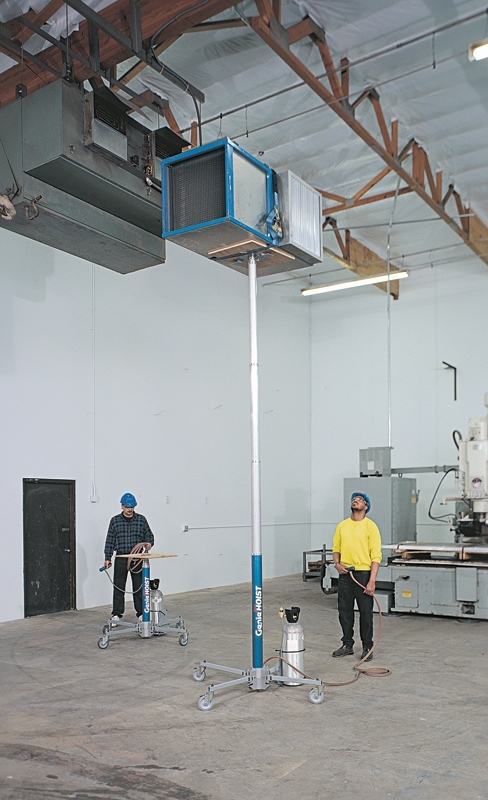 The Genie GH-3.8 Super Hoist is a portable material lift that is popular with heating and ventilation companies due to its portability. 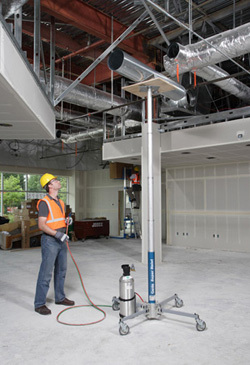 The GH-3.8 Air Hoist will lift 136kg to 3.8m and is powered by nothing more than a compressed air bottle. Easy to release leg lock keeps legs up for storage and out for use. Up and down dump valve can be easily activated by patented control handle. 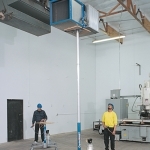 The Super Hoist is powered by one standard compressed air bottle which provides approximately 80 to 90 lifts. The hose stretches 4.87 m for added mobility and stores around brackets under the platform when not in use. Optional platform cradle package available to handle items that might normally roll off the platform.